In an interview with the L.A. Times Music Blog “Pop & Hiss,” Pandora founder and CEO Tim Westergren talks about future plans for the trailblazing media company. Westergren founded Pandora Media in 2000, born out of the Music Genome Project, an experiment that analyzed the attributes of all genres of music. 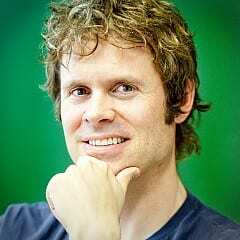 In 2005, he launched Pandora’s Internet Radio, introducing listeners to different bands and songs deemed similar to their designated tastes. After overcoming a near collapse due to the retroactive increase in performance royalties in 2008—alleviated by the subsequent reduction in fees after the successful SaveNetRadio campaign—Pandora conquered the mobile world, garnering over 40 million listeners on mobile devices alone. What does this mean for terrestrial radio? Well, Westergren touts a better listener experience, pointing out that Pandora has 45 seconds of advertising—three 15-second commercials—every hour, while broadcast radio typically has 12-14 minutes of ads per hour. While Pandora is currently a free streaming service, users can opt into a subscription service at $3 per month, allowing them to bypass ads and benefit from a higher-quality stream. At this time, Westergren admits that “only a tiny number of people subscribe,” and that the majority of the 48 million Pandora users are exposed to advertising. So, what does this mean for broadcast radio? Video didn’t succeed in killing the radio star, but it remains to be seen what Internet radio can do, once it’s available in our cars.